A top Google executive on Monday apologised after UK company and government adverts appeared alongside extremist content on its Internet platforms. Google is accused of restricting manufacturers from installing rival versions of Android on their phones. 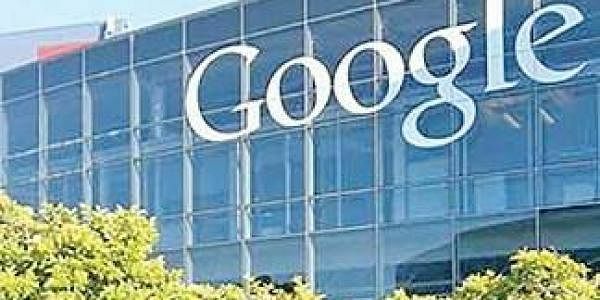 LONDON: A top Google executive on Monday apologised after UK company and government adverts appeared alongside extremist content on its Internet platforms. The apology from Matt Brittin, president of Google's Europe, Middle East and Africa division, came after UK banks HSBC and RBS, along with major retailer Marks and Spencer (M&S), decided to suspend their adverts from appearing on platforms such as YouTube. "I would like to apologise to our partners and advertisers who might have been affected by their ads appearing on controversial content," Brittin said in a statement. "We take our responsibilities to these industry issues very seriously." Brittin said Google was already making improvements thanks to increased investment -- resulting in it "raising the bar for our ads policies, simplifying advertiser controls and adding safer defaults". In a statement Monday, HSBC said said it takes "breach of our digital advertising standards very seriously and have put advertising with Google on hold at this time". An M&S spokesman added: "In order to ensure brand safety, we are pausing activity across Google platforms whilst the matter is worked through." The British arm of French advertising agency Havas suspended such advertising last week. Others to pull the plug, temporarily at least, are the BBC, Guardian newspaper group and McDonalds UK. In the UK, a committee of MPs has meanwhile demanded that Google explain how government adverts have appeared on "inappropriate and hate-filled sites" and whether the government and advertisers will be refunded payments made to the US tech giant. A government spokesperson said Monday: "It is totally unacceptable that taxpayer-funded advertising has appeared next to inappropriate internet content -- and that message was conveyed very clearly to Google. "The Cabinet Office has told Google it expects to see a plan and a timetable for work to improve protection of government adverts to ensure this doesn't happen again. "YouTube advertising remains on hold while that work is carried out."